‘Scorpion’ by Drake has spent its fifth consecutive week at the top of the Billboard 200 Albums chart. According to Nielsen Music, the set earned a total of 145,000 equivalent album units -a decline of 21 percent - during the week that ended on the 2nd of August. The majority of those units were due to the streaming numbers that the set has collected, with only 12,000 units coming in the form of traditional album sales. The Billboard 200 album chart is calculated by measuring the consumption numbers of albums in the United States. The most popular albums are thus ranked using multiple metrics of consumption which include, streaming equivalent albums (SEAs), track equivalent albums (TEAs), as well as the traditional album sales. ‘Scorpion’ chalked its fifth week at No. 1 in the Billboard 200 chart, which is dated the 11th of August. This also makes it the first album to log the most weeks at No. 1 in the rankings of the last year-and-a-half, since ‘Starboy’ by The Weeknd was at the top for the same number of weeks. It spent four weeks at the summit between January and February of 2017. However, ‘Starboy’ had been at the top spot earlier, when in its debut it spent a week at No. 1 on the list dated the 17th of December in 2016. As mentioned, 12,000 album units of the 145,000 were owed to traditional album sales. Most of the units were contributed by SEAs, which numbered at 123,000 and translate into 169.6 million on-demand audio streams. The rest of the 11,000 were contributed by TEA units. In terms of albums spending most consecutive weeks at the top of Billboard 200 albums chart, ‘Scorpion’ is the one with most in the last two years. 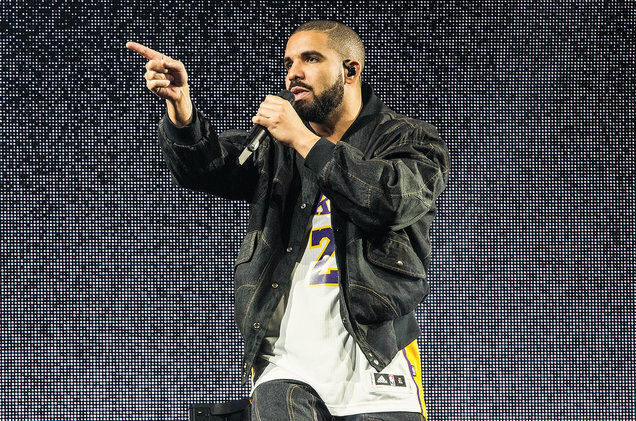 The last album to log at least five weeks consecutively was Drake’s own album called ‘Views’, which stayed at the top for nine straight weeks between May and July of 2016. Overall, the album spent 13 weeks at the zenith of the Billboard 200 rankings. Since February of 2016, both of the albums by Drake are the only ones to spend their first five weeks at No. 1. Prior to that, ‘25’ by Adele reigned the chart during its first seven weeks, in a period starting from December of 2015 and lasting till January of 2016. Overall, the album by Adele managed nine weeks at No. 1 in the album rankings. Additionally, Drake has surpassed Jay-Z on his way to becoming the hip-hop artist with the second-most weeks at No. 1 on the Billboard 200. Drake now has 26 such instances, one more than Jay-Z who has 25. At No. 1 is Eminem, who has the most weeks at the top for hip-hop acts with 32. Finally, ‘Scorpion’ managed to collect 169.6 million on-demand audio streams during the week, which ranks at No. 20 in the largest streaming weeks for an album. Scorpion now has 5 entries in the top 20 of the rankings, as it currently holds the 1st, 3rd, 7th and 12th spot as well.